Christmas Markets, selling decorations, gifts, food, and drink, originated in Middle Ages Germany but now are common throughout Europe. 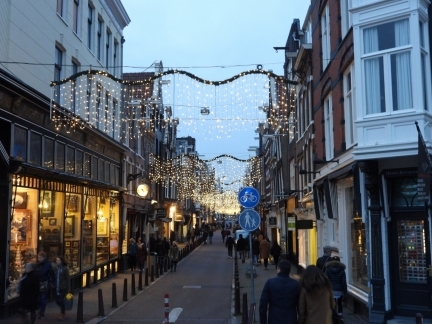 A number of major markets are held in the Netherlands during the holiday season. 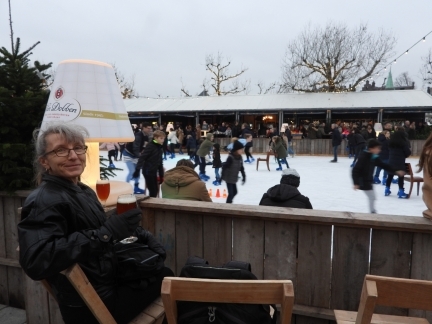 Ice Village Amsterdam combines a market with another popular Dutch winter tradition, ice skating. 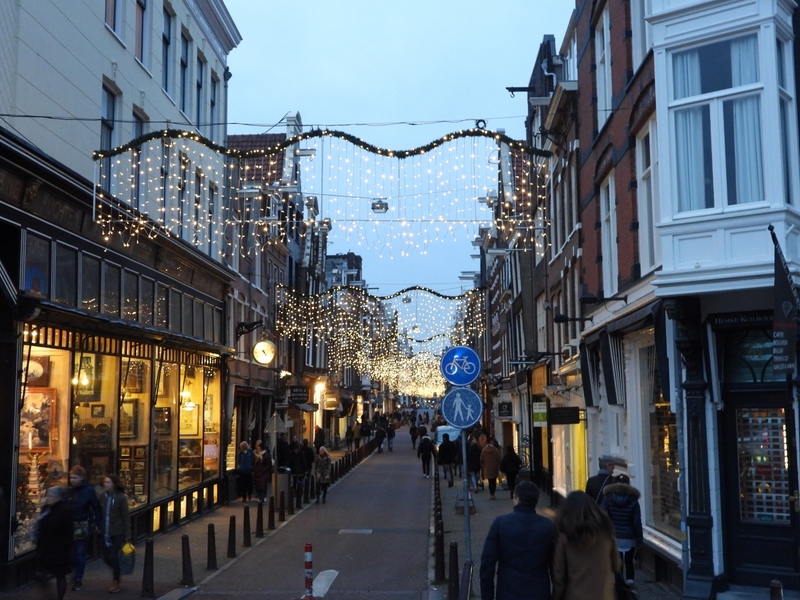 An enjoyable 40-minute walking tour through central Amsterdam brought us to the market, and on our evening return trip we took in the holiday lights and some of the Amsterdam Light Festival displays. 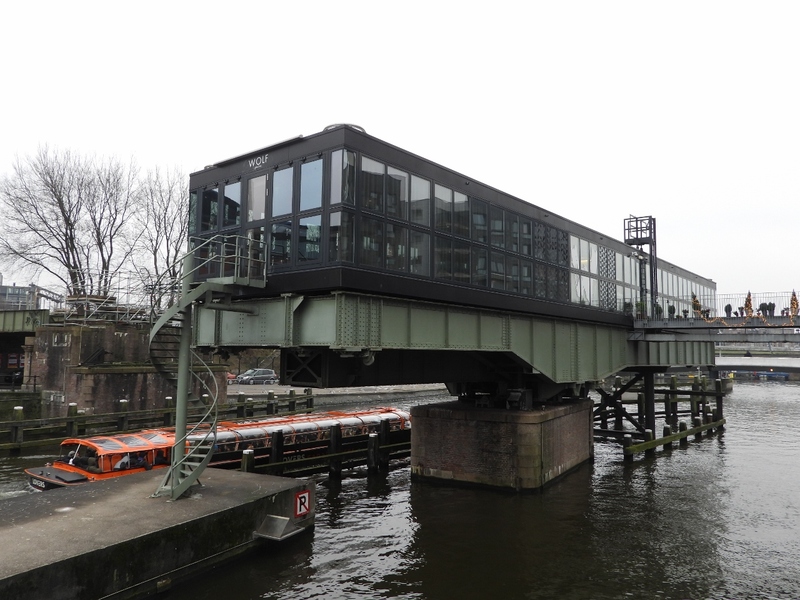 Wolf restaurant near our marina is built on an old swing bridge. Ever-present bicycles locked to a bridge overlooking Keizersgracht (Emperor’s Canal), one of the three canals built during Amsterdam’s 17th-century expansion. Hotel Nadia wraps along the bending road. 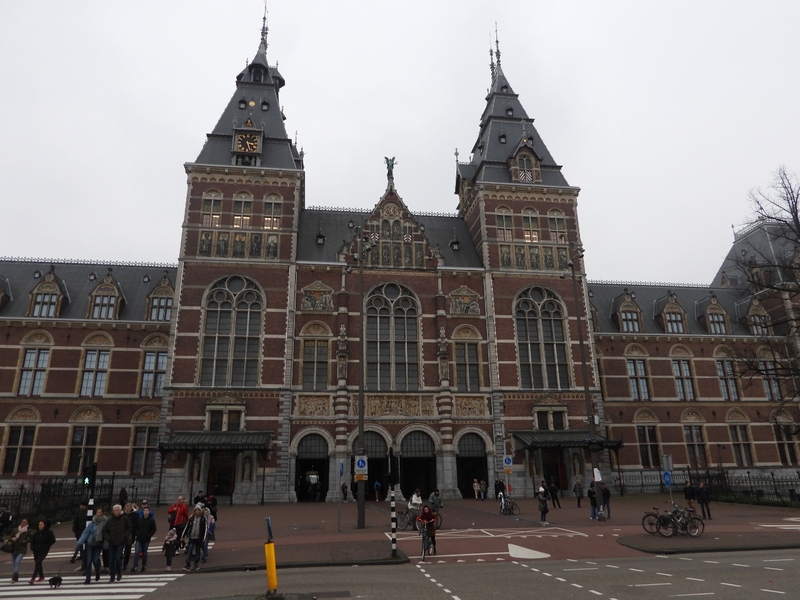 The Rijksmuseum art and history museum was founded in 1800 in the Hague and moved to the current location in 1885. It’s the largest and most visited museum in the Netherlands and annually sees over 2 million visitors. The fast-paced style of this street orchestra playing underneath the Rijksmuseum reminded us of the Trans-Siberian Orchestra. 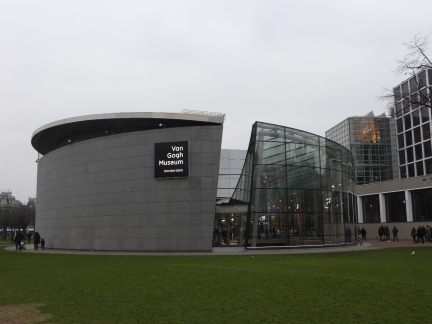 The Van Gogh Museum near the Rijksmuseum opened in 1973 and is dedicated to the Dutch painter and his contemporaries in the Netherlands. Outdoor ice skating is very popular in Amsterdam and a number of rinks are setup around the city in the winter. 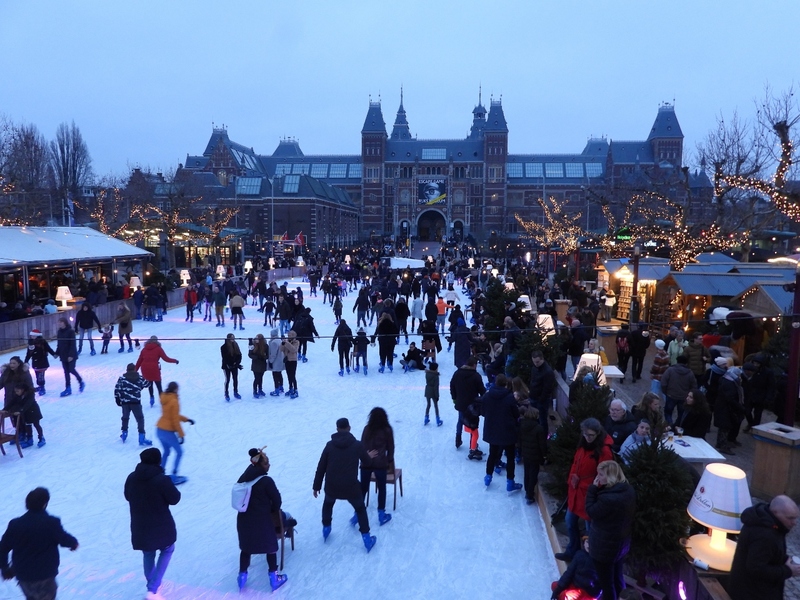 This is the Ice Festival between the Van Gogh Museum and Rijksmuseum. 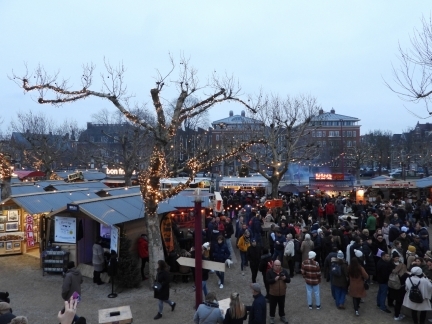 A Christmas market beside the ice rink sells food, drink and gift items. 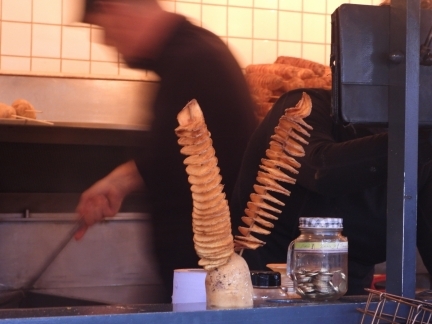 Fried potato sticks were a popular item at the Christmas market—everyone seemed to have one and the purchase line-up was at least 20 people deep. Rinkside at the Museumplein Ice Festival enjoying a local microbrew from the Christmas Market . 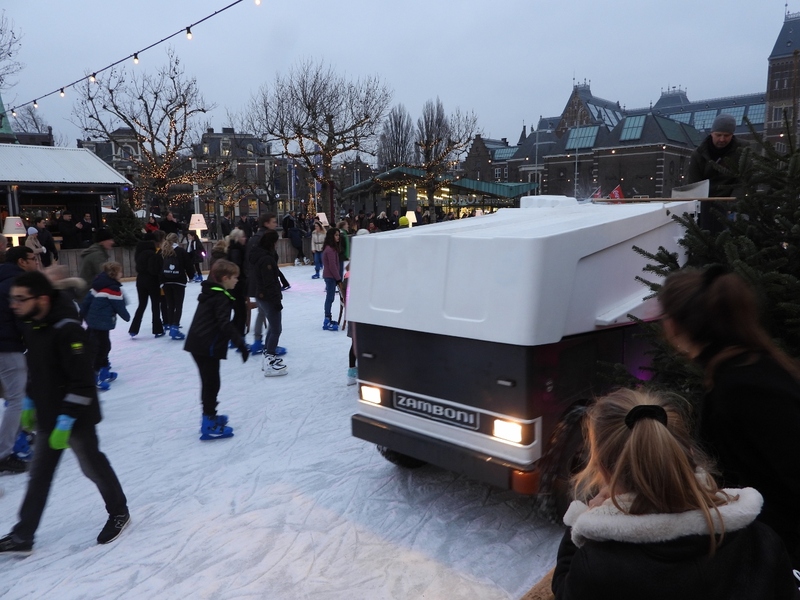 We’ve never seen a Zamboni clean the ice without first clearing the ice of people. 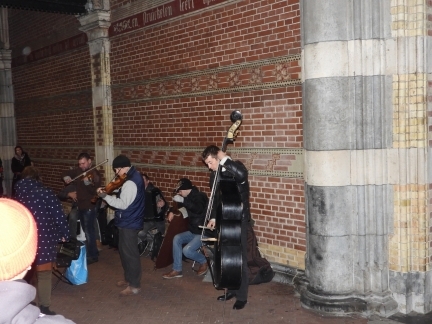 The driver was able to work through the crowd without mishap. 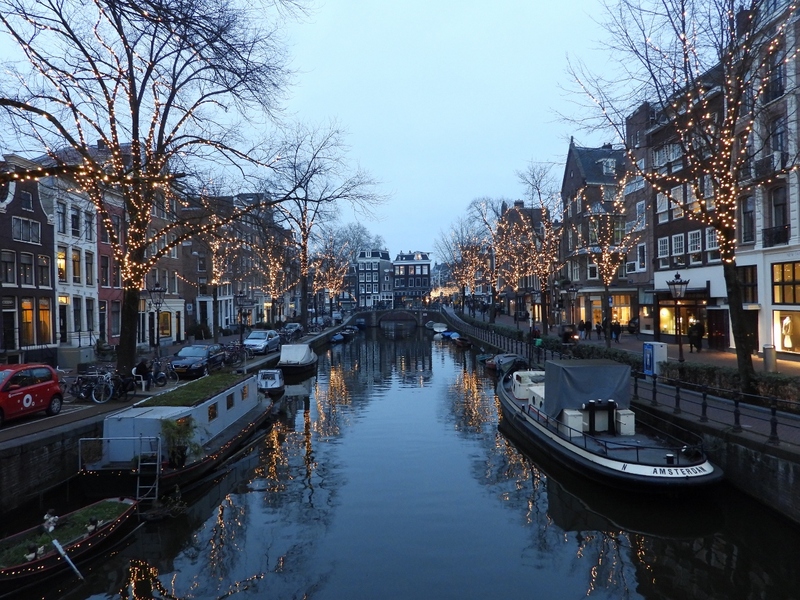 Lighted trees reflecting into the Lijnbaansgracht canal near the Rijksmuseum. Holiday lights looking northwest along Korte Leidsedwarsstraat. 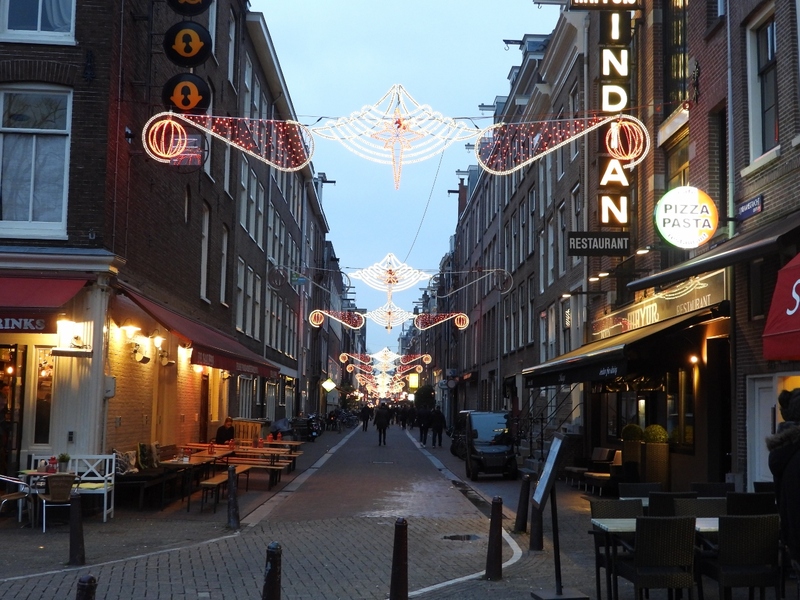 Nieuwe Spieglestraat lit for the holiday season. 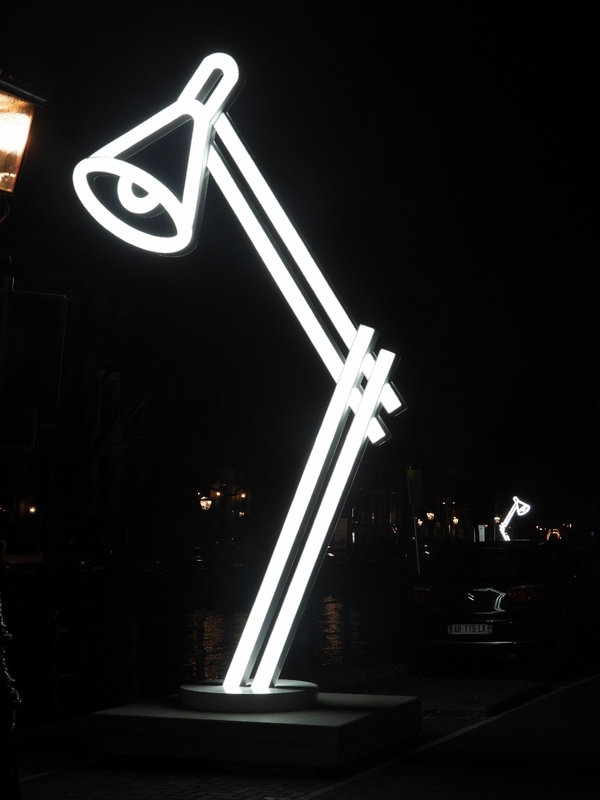 It seems that every street in Amsterdam has a unique decoration. Amsterdam’s famous flower market, Bloemenmarkt, reflecting onto the Singel canal on the right. 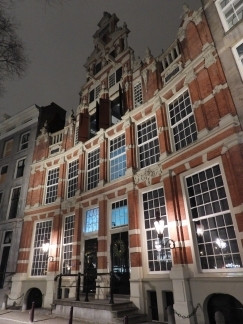 The Singel name derives from Dutch word “to surround”. It is the innermost of Amsterdam’s canal rings and was a moat surrounding the medieval city until 1585. 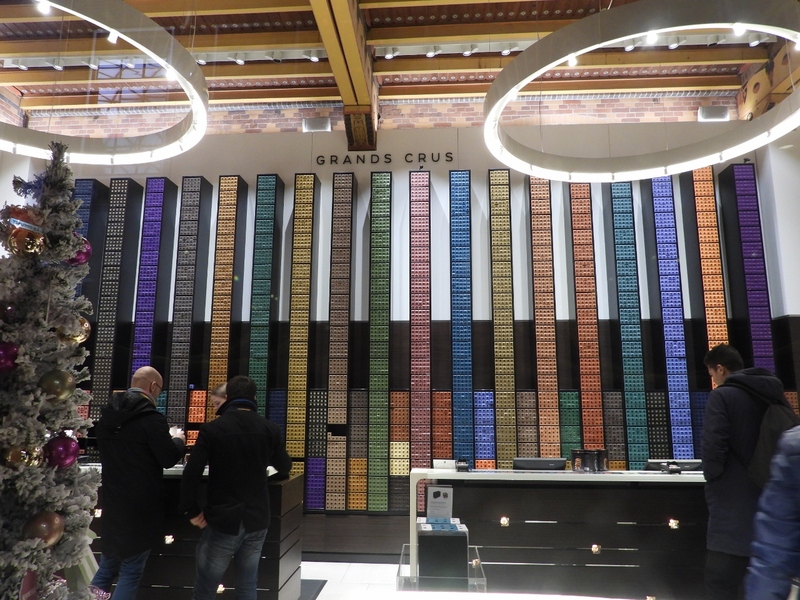 Nespresso coffee stores often have eye-catching displays. One in Westfield Stratford City mall outside London caught our attention as well. Beetle Sphere sculpture by Japanese artist https://www.ngv.vic.gov.au/essay/an-interview-with-ichwan-noor/ at Kalvertoren mall. 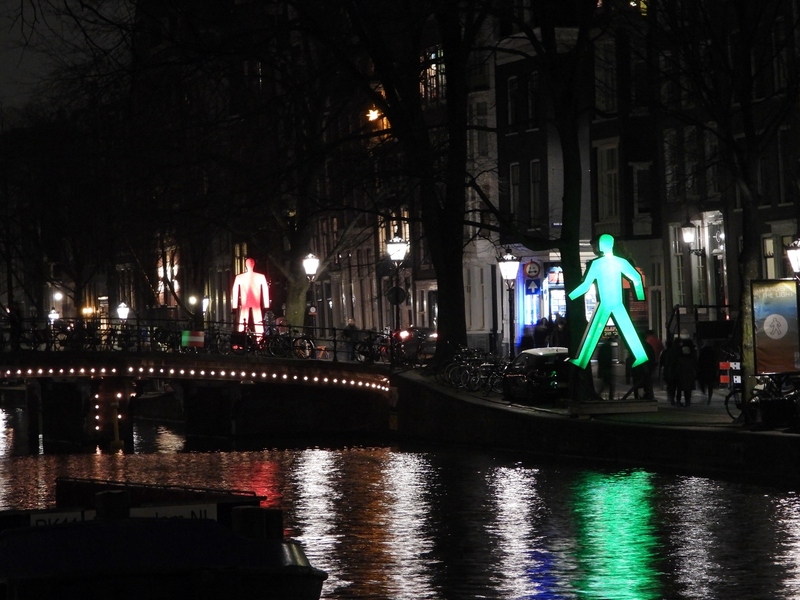 The sculpture is of cast aluminum augmented with original parts. 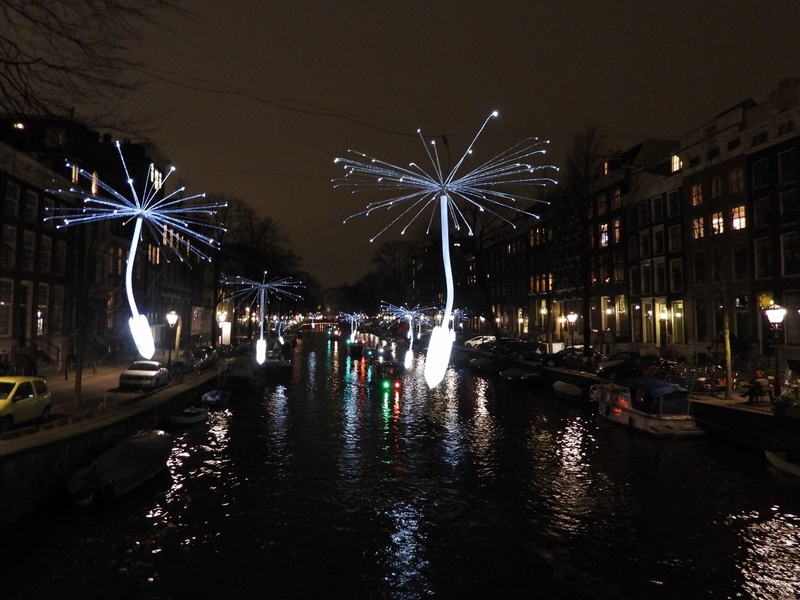 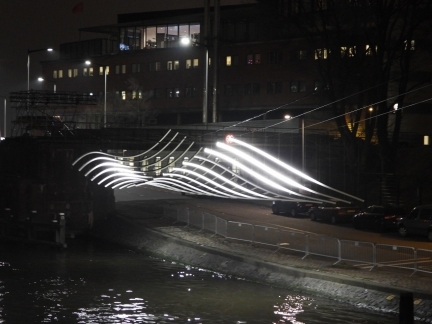 We walked back home along Herengracht canal to view parts of the Amsterdam Light Festival. On our tender tour through the canal yesterday we saw the Two Lamps Amsterdam Light Festival display, and this evening got a chance to see them lit. 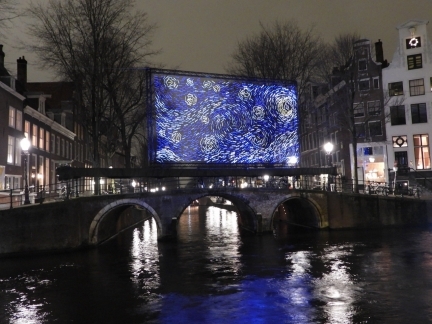 The Amsterdam Light Festival display Starry Night was inspired by Van Gogh’s painting of the same name. 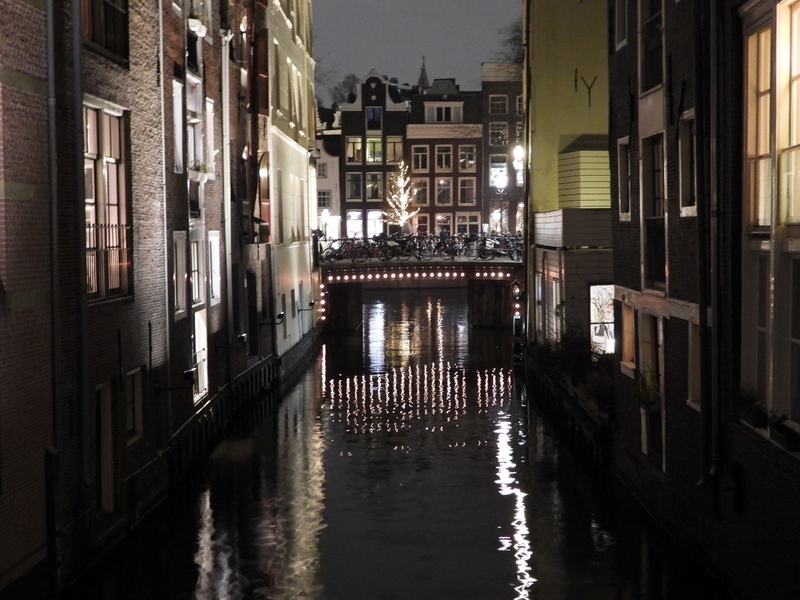 Looking down narrow Beulingsloot canal that connects the Herengracht (Lord’s Canal) and Singel canals. 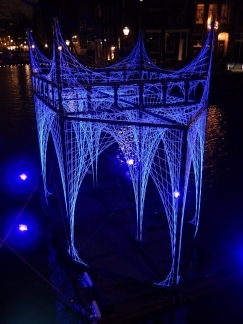 Inspired by Shakespeare’s A Midsummer Night’s Dream play, the Amsterdam Light Festival Midnight Summer Dream is an example of ‘upcycling’ where disused object are turned into something new of higher quality or value. 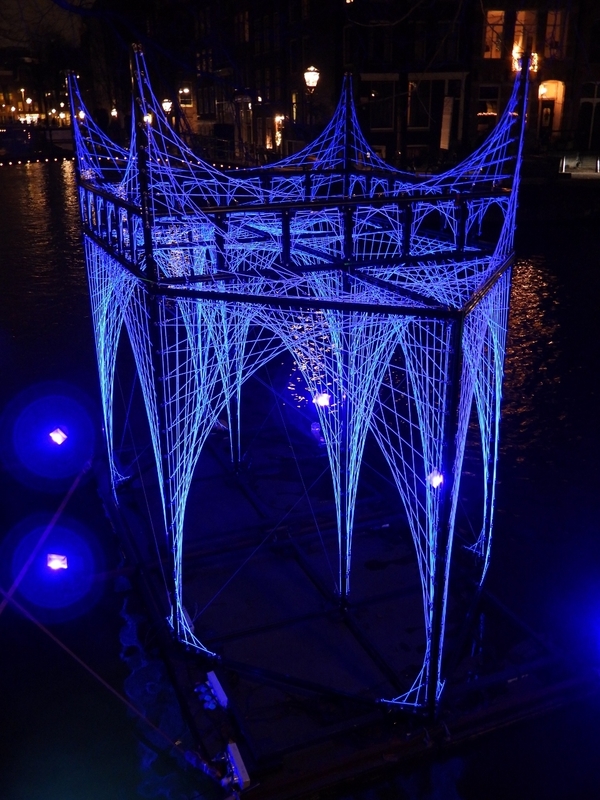 In this case the lanterns of the display are made from discarded washing machine tubs. 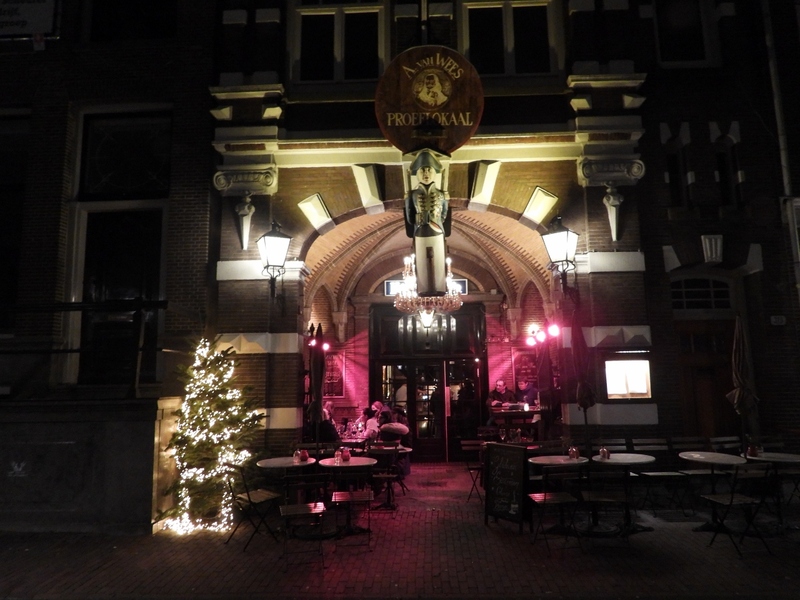 Chilly weather doesn’t discourage people from sitting outside in Amsterdam. The heated patio at distillery-turned-pub Proeflokaal A. van Wees was packed. 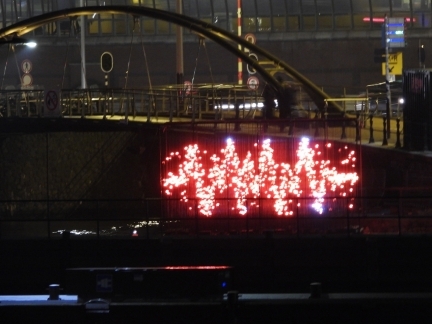 The Amsterdam Light Festival display Waiting… depicts a life-sized version of the symbol we shown while a computer operation is completing, with the lines in the wheel lighting up one after the other. 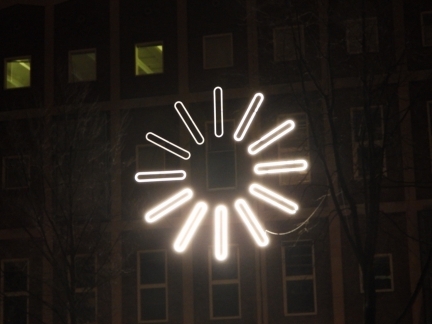 When the wheel in Waiting… stops turning, different images show inside. This one is of a person on the phone. Others are of people looking out the window or painting. 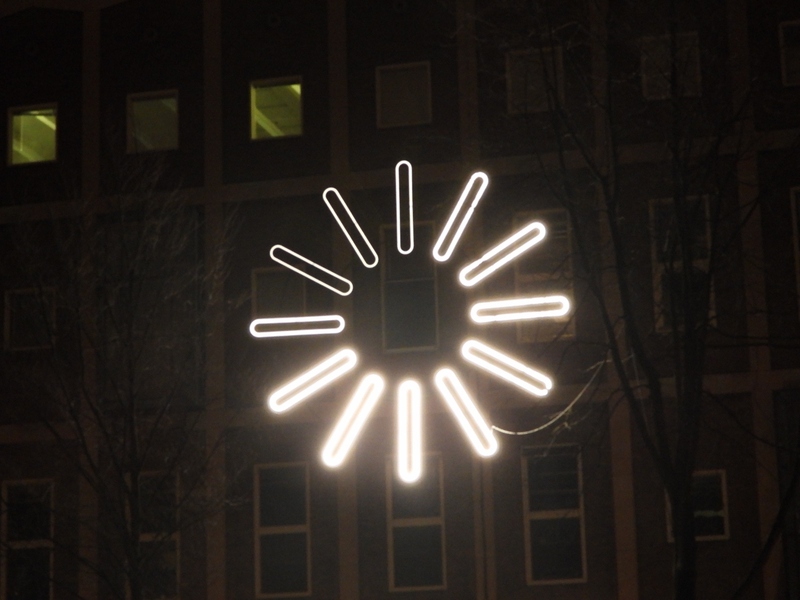 We didn’t see any repeats over several minutes. A.N.N. 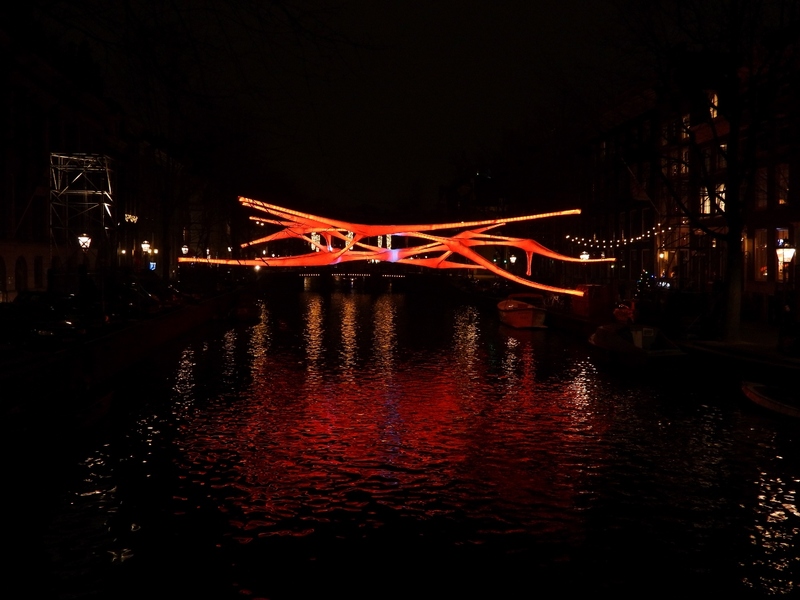 (Artificial Neural Network) at the Amsterdam Light Festival is designed to visualize the process of brain activity. Inspired by Frank Sinatra’s song Strangers in the Night, the 6m-tall figures in the Amsterdam Light Festival display Strangers in the Light have “escaped” the pedestrian light signal and have an opportunity to meet for the first time. Bartolotti House, curving along the street bend, was one of the largest merchant houses in the city when built in 1620. 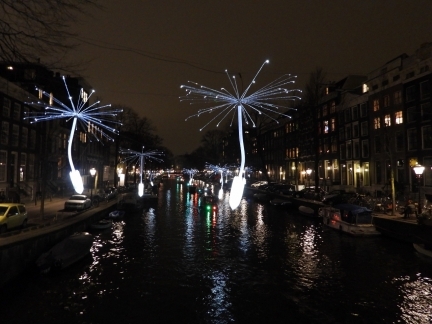 The twenty pieces in Light a Wish visualize the wish made while blowing dandelion seeds blown into the air. We noticed this Smart car parked alongside the canal. 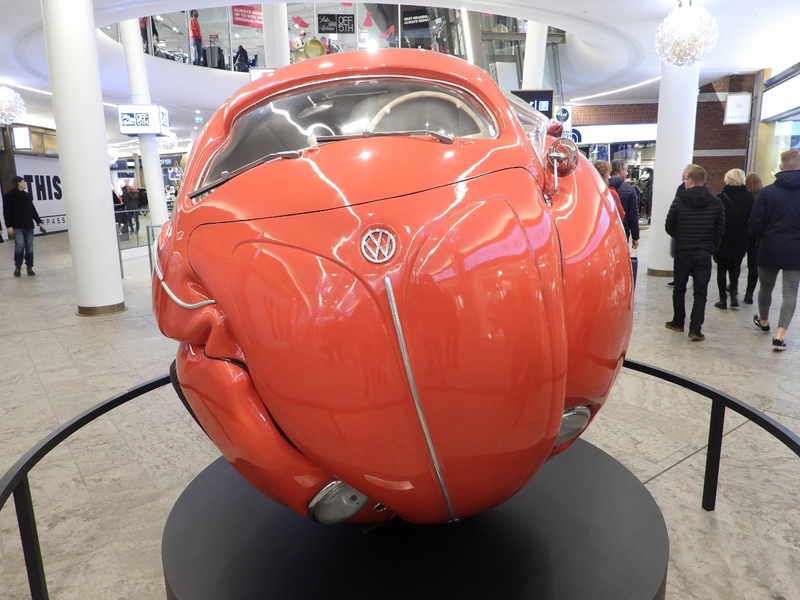 We’d not seen a roadster before. 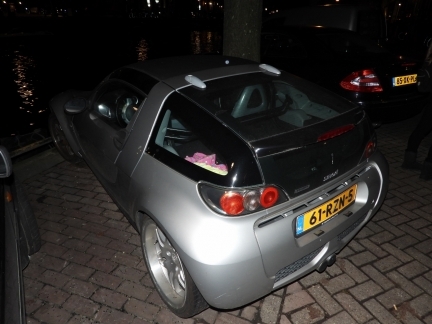 Smart GmbH produced them starting in 2003, but ceased production in 2005 due to high warranty claims. ARCHEStextures: PORTAM CIVITATIS in the Amsterdam Light Festival evokes the European Gothic churches built in the 12th-15th centuries. 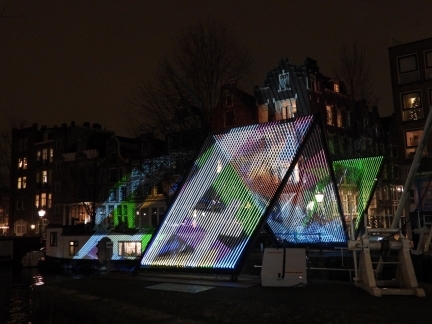 Nearly back to Dirona with another view to the Amsterdam Light Festival display Tranmission. 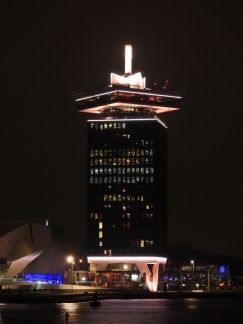 The A’DAM Tower, a converted former Royal Dutch Shell oil company office building, across the IJ River from our marina. The last Amsterdam Light Festival display of the evening, Desire, viewed from a distance at the marina bridge. Loved the Bartolototti House architecture — handsome and interesting. 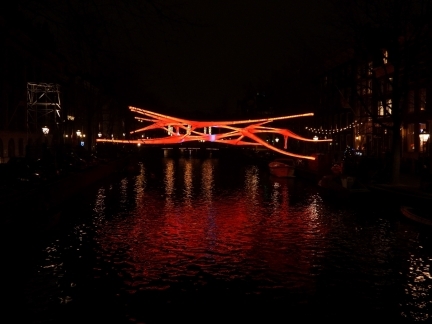 The Light Festival certainly brightens up the city. 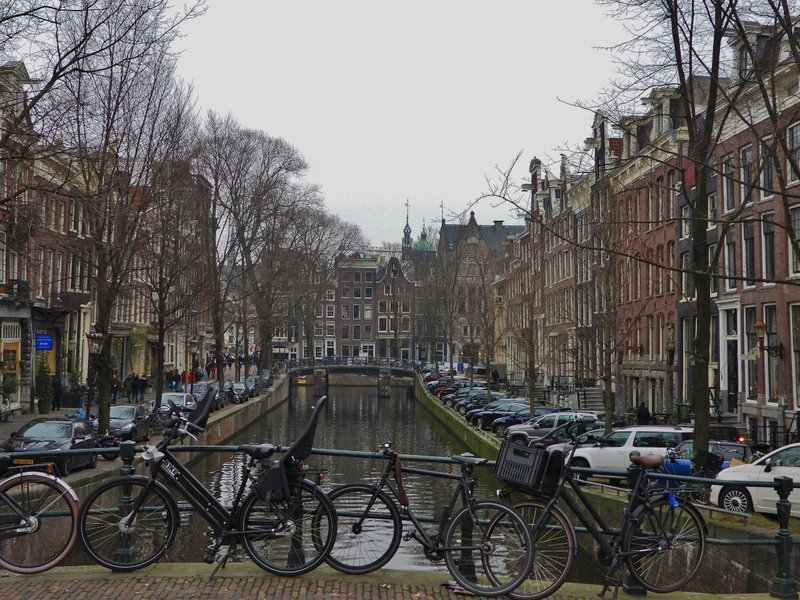 In daytime photos Amsterdam appears a little somber and grey but I suspect it has a lively street scene feel that offsets winter drabness. 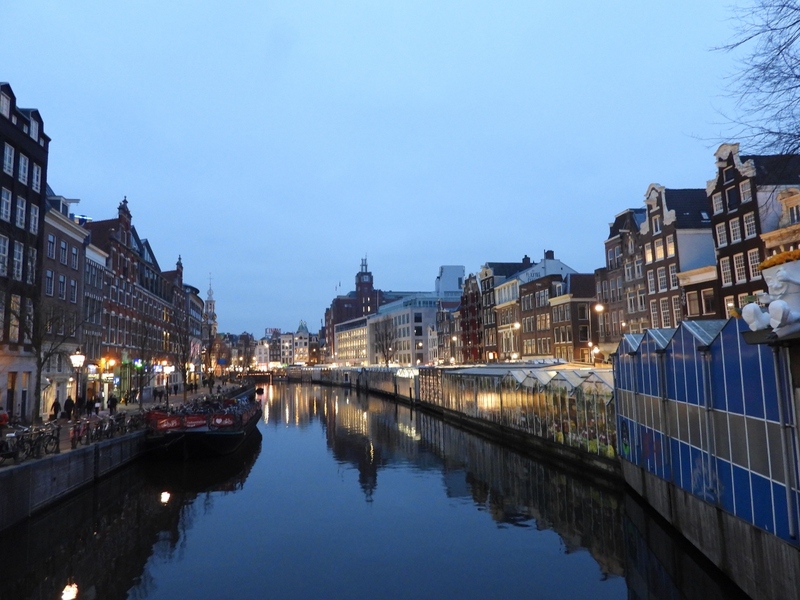 We’re really loving Amsterdam but it is a ways north so it’s dark until past 8:30 in the morning and again just before 5pm at night. 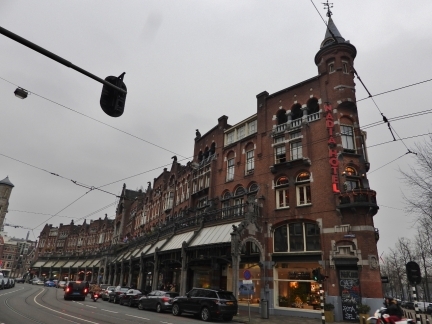 And, it’s a bit overcast but it’s a very cool place to call home. 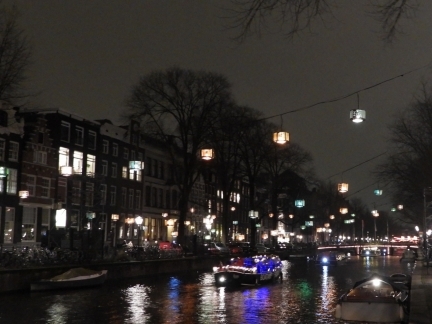 The lights at night are beautiful and, overall, the city has amazing energy.